Jerusalem - perhaps considered as one of the most holy cities of the world is the cradle of the Semitic religions. For 3 of the world's major religions Judaism, Christianity and Islam, Jerusalem is a revered site. A tour of Jerusalem, through its narrow alleys, picturesque charm and revered shrines takes you through the distinct quarters of the Jews, Christians and Muslims. It is little wonder that the city of Jerusalem faces so much political and religious turmoil. No Jerusalem tour is complete without visiting the Wailing Wall, Temple Mount and Church of the Holy Sepulcher. Do not miss the Cenacle - Room of the Last Supper. 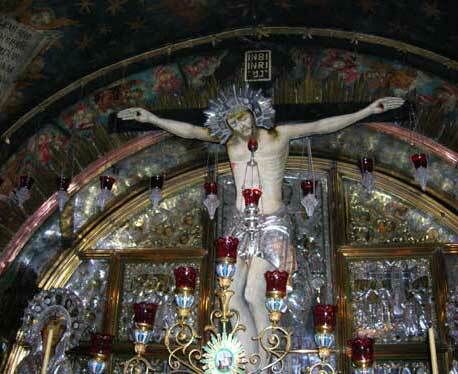 Jerusalem evokes the kind of religious fervor no other place on this planet can match. As the embattled Moslem leader Saladin says - 'it means nothing' first and then reveals 'it means everything' to a question of 'What does Jerusalem mean to you ?' by the young blacksmith turned Knight - Balian in the 2005 movie - Kingdom of Heaven, it still evokes strong emotion. From the days of Jesus Christ, peace has eluded this region for almost two thousand years. Tourists to Jerusalem can take a conducted trip from Tel Aviv. Nestled on the ridge of the Judean Mountains, the landscape of Jerusalem comprises rocky slopes and hills. Jerusalem enjoys mild temperate winters but the summers can be dry and hot. Rarely is snowfall noticed during peak winter. Today Jerusalem is a city of contrasts, a blend of the old with the new. Walk down the lanes and you will be transported to a different area. While East Jerusalem is predominantly Arab, the western part is Jewish and reflects the prosperity of Israel. The Old City with its distinct religious quarters is an opportunity to go back in time. It lies enclosed within the ancient walls dating back to the Ottoman Turkish Empire. You will notice that even modern buildings are made with the famous 'Jerusalem stone', which reflects light in different hues at sunrise and sunset. The gilded dome of the Temple Mount cannot be missed. The Muslims hold in reverence the Dome of the Rock at Temple Mount. The Dome of the Rock and Al Aqsa Mosque are holy shrines for the Muslims, after Mecca and Medina. It is sacred to the Jews, as it was the location where King Solomon built the First Temple to commemorate the spot where God tested Abraham. It is also here that you will find the Church of the Holy Sepulchre - holy to millions of Christians as the place where Jesus was crucified, buried and resurrected. 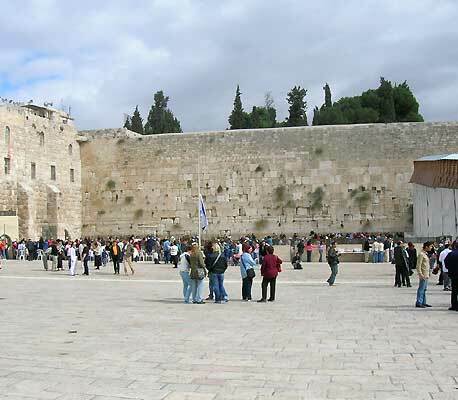 The Wailing Wall or the Western Wall in Jerusalem refers to the remnants of the Temple of Solomon. It remains today as the holiest praying spot for devout Jews. Often slips of prayers are placed in the cracks in the wall. This spot is held holy by the Muslims too. It is here that Prophet Mohammed was believed to have ascended to heaven. This area is under Israeli control and the Israeli flag flies at half-mast here. Do not miss the Wailing Wall during your Jerusalem tour but ensure that your dress code is respectful. Men must wear a skullcap. The Dormition Abbey is the spot where Virgin Mary had fallen asleep for the last time. Outside the Domintion Abbey, you will find the Room of the Last Supper - the Cenacle. The Cenacle is a two-storey structure that contains beneath it the Tomb of King David. Don't miss the Gothic architecture that is evident in the arches, pillars and windows. The room of the Last Supper brings to mind visions of Jesus' last meal with his disciples. The Cenacle was transformed into a mosque after the Franciscan Friars were evicted. At this location now you will also find a mihrab, though public prayers are not said at this spot. 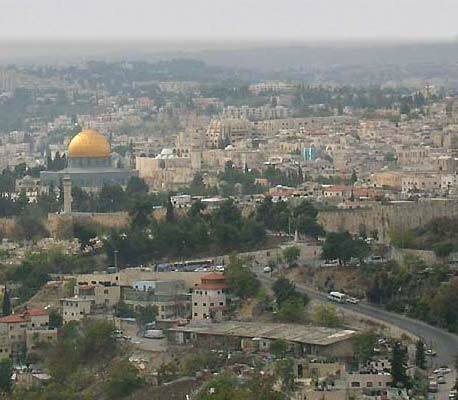 Stand on Mount Zion to catch a magnificent view of Jerusalem.